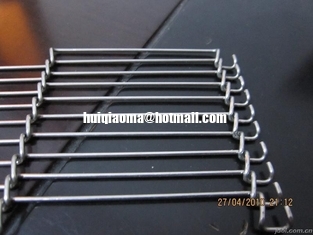 Wire link belt with interlaced bars is a wirebelt made of regularly bent wires, which are interwoven one with another. 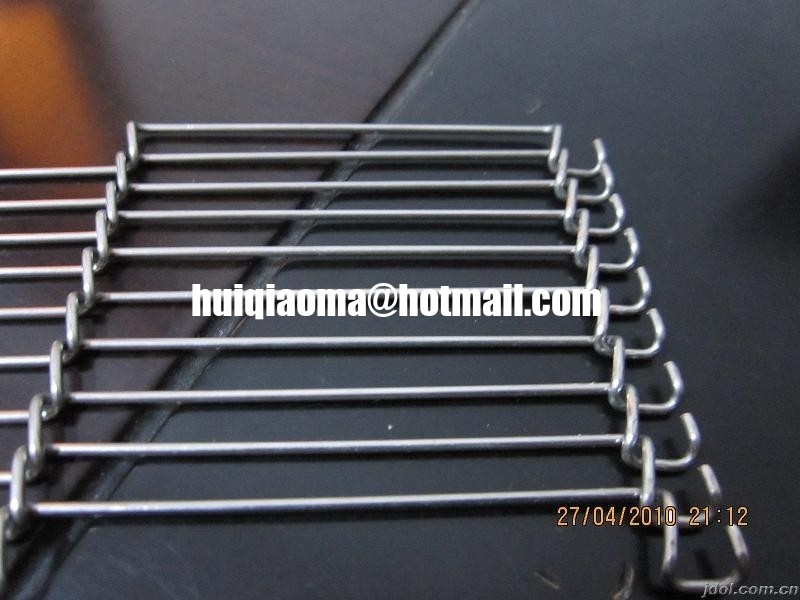 The wires are bent not only in horizontal direction, but also in vertical direction, so that the wire link belt can turn itself well even on a small transition edge, but only in one direction. So, when the belt with interlaced bar is installed in wrong way, it can be permanently deformed and damaged. The wires are terminated with loops on the wirebelt edge. Also driving wheels for these belts are parts of the delivery. As a baking or drying belt in food industry, especially in bakery, confectionary and chocolate industry, as a conveyor belt in chemical and engineering industry, as a conveyor belt in wrapping machines for foiling etc.